​​BrightLine Fence and Deck Staining wants to help beautify your property by staining and sealing your wood fence and deck. We are confident we will be able to provide the right product to fit your needs. You can count on BrightLine Fence and Deck Staining to provide you with the most professional customer service you can find. *Note: For new construction homes, please check with your Builder's warranty program to see if your warranty would be affected by staining before the warranty period is over. BrightLine Fence and Deck Staining will clean and stain old fence and decks. 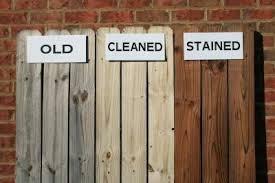 BrightLine Fence and Deck Staining is proud to use Standard Paints Wood Defender Fence and Deck Stains. 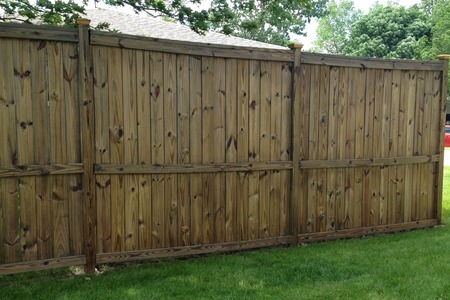 Choose from different colors of transparent and semi-transparent stains for your fence and deck. Introducing BrightLine Blinds authorized Hunter Douglas dealer.